Brilliant Long-Lasting Finish On All Types Of Metal. 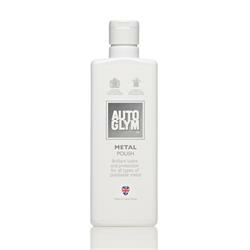 Autoglym Metal Polish gives a brilliant long lasting finish on all types of metal including chromium, stainless steel, copper, brass, aluminium and alloys. Do not use on chromed plastics, mirror-finished metals in new condition or lacquered alloy wheels.